A pharmacy administration doctoral student is gaining exceptional real-world experience by participating in a fellowship at one of the world’s premier pediatric cancer research centers. 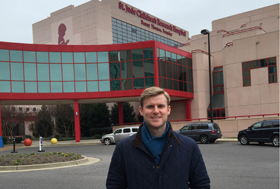 Through the fellowship, Nicholas Keeling is working with St. Jude Children’s Research Hospital’s chief patient safety officer and his team to evaluate hospital safety and medication outcomes. Located near one of the oldest forests in Europe, a new research center was dedicated in November with the help of a School of Pharmacy faculty member. 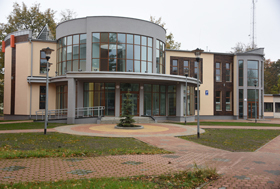 Bialystok University of Technology’s Scientific and Research Centre contains diverse laboratories for the discovery of new natural products. 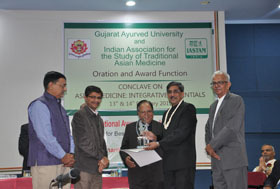 Jordan Zjawiony, professor of pharmacognosy, delivered a keynote address at the opening. The University of Mississippi School of Pharmacy and its Department of Pharmaceutics and Drug Delivery will host the 12th annual Coy W. Waller Distinguished Lecture on Feb. 12. 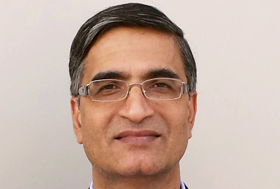 Mansoor A. Khan, professor and vice dean at Texas A&M’s College of Pharmacy, is slated to present a lecture on pharmaceutical product performance. School of Pharmacy faculty members accomplished a lot in 2015. Dean David D. Allen said they are “changing the face” of pharmacy in areas such as research, leadership, teaching and service. Pharmacy Matters’ January edition highlights some of their accomplishments, from receiving international awards to acquiring competitive grants. Christine Hayden, a fourth-year professional pharmacy student, is serving as secretary of the Associated Student Body of the University of Mississippi Medical Center. 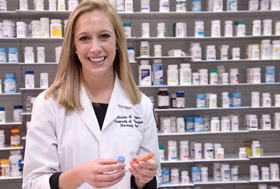 Meet fourth-year professional student Christine Hayden, who recently made history as the first pharmacy student to hold an office in the University of Mississippi Medical Center’s Associated Student Body. Influenced by her grandmother to choose pharmacy as a career, Hayden initially became involved in student government during her years in Oxford. Thank You to Our Business Partner! Our sincerest thanks goes to Cardinal Health, our platinum professional business partner, for its support.